GLO® Science teeth whitening presents innovative ways to whiten and brighten your teeth at home, in-office, or on the go. 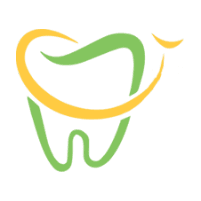 At PDADental in the Financial District, Lower Manhattan, New York, the qualified dentists stay up to date with the best and the latest in dental tools and technology to provide the best possible dental services. GLO Science has revolutionized teeth whitening and offers impressive results and convenience, affordability, and practicality. Call PDADental if you’re interested in teeth whitening or schedule online today. Surface stains on the enamel of your teeth can be caused by drinks like coffee, tea, and red wine that make your teeth appear a yellowish color. These surface stains can gradually go sink deeper, beneath the enamel of your tooth to the dentin, making the stain more difficult to remove. Teeth whitening is completely safe and reliable when you follow product guidelines and instructions and receive support and treatment from a qualified dental professional. The GLO whitening solution is not harmful to put on your teeth and in your mouth. GLO teeth whitening is designed to minimize gum and tooth sensitivity and achieve optimal results. GLO Science develops and sells effective treatments and products to whiten your teeth and remove stains. GLO whitening involves clinically proven effective bleaching substances and warming light technology. The warming heat and light technology accelerates and enhances teeth whitening. What are the Different Options for Teeth Whitening? PDADental offers different GLO Science options for teeth whitening, including professional in-office teeth whitening and at-home DIY products. The GLO options available include three-day whitening treatments and the dual whitening option where you can receive an in-office treatment and a professional take-home kit for maximum results. The at-home GLO products are easy to use. In the GLO trials, none of the participants reported sensitivity or pain after using GLO whitening. The at-home GLO products are convenient and the whitening gel can be easily brushed directly onto your teeth for eight-minute applications to whiten the top and bottom teeth at the same time. The GLO whitening device is hands-free and you can whiten easily as part of your normal beauty routine. The professional GLO therapeutic treatments are exclusively available from a dental professional. The in-office GLO whitening combines warming heat and light with professional strength, high concentration whitening gel. The in-office treatment takes about an hour. Whiten your teeth with GLO Science by calling PDADental or booking on the web today.